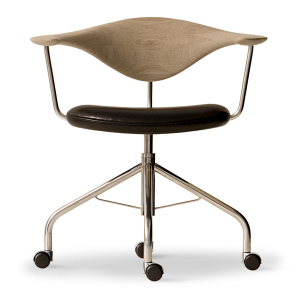 Wegner designed the office chair pp502 in 1955. 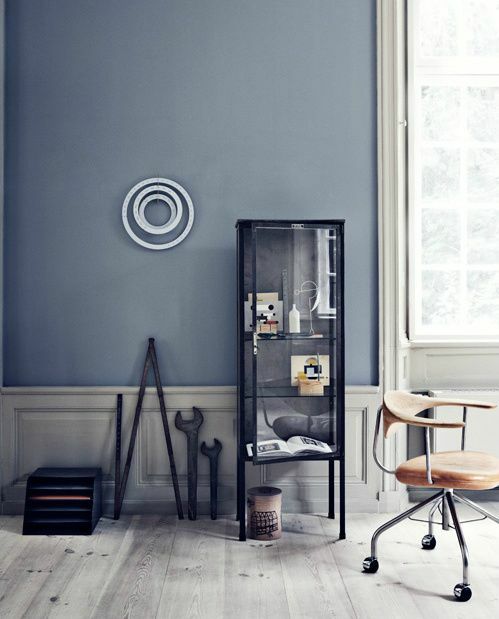 Wegner only drew few of this type of chair, and the mix between wood and crome pipes is also very rare with Wegner. The low back rest of the chair shows Wegner’s concern for the ergonomical aspect. The seat comes in leather or fabric while the remarkable top rail comes in ash, mahogany, oak, or cherry.